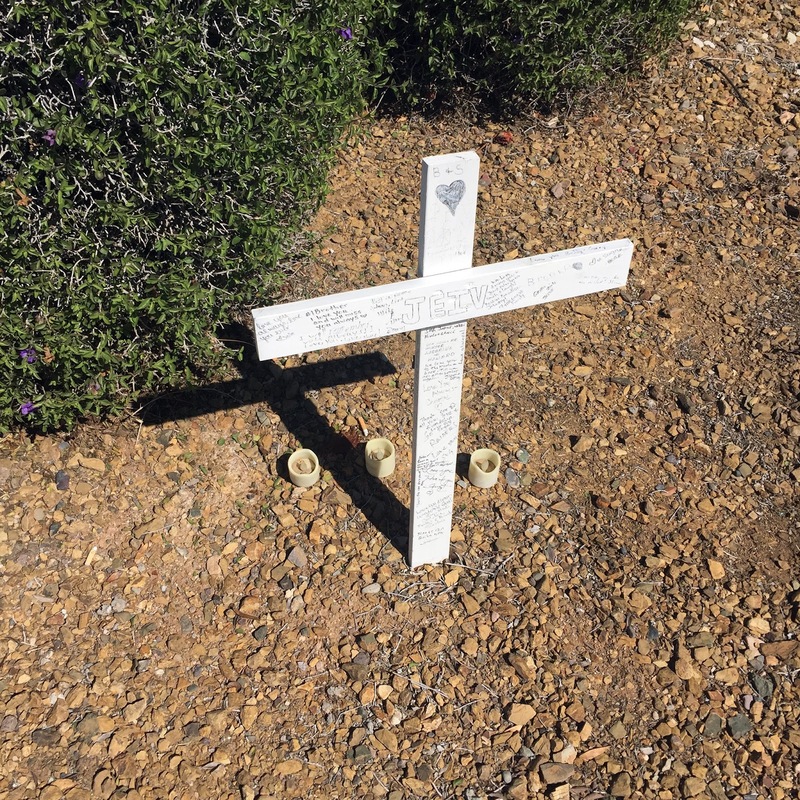 If you've driven around Phoenix, Arizona, you've seen the white crosses. And they're what you think they are - markers, like over a grave. But don't worry, no one is buried underneath them. They mark the place where someone died in an automobile accident. As an average white guy growing up in Minneapolis, my attitude towards the dead has been that once someone is gone, they're gone. In my culture, we hardly ever speak of the dead, dead people are only "creepy things" during Halloween, having pictures of dead family members is seen as "not getting over it", and death is mostly ignored. 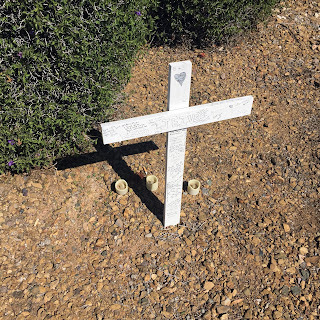 So if you're kinda creeped out by the white crosses, and also by the "in memorandum" written on the backs of windows of vehicles in Phoenix sometimes, I understand. If this is part of your culture, you may wonder why people object to this. I'll see if I can explain. When I moved to Phoenix I discovered a world of connected families. Brothers, sisters, cousins, uncles, etc. I remember one of my best friends walking me down a street in his neighborhood pointing out all of the houses where his family lived. And then I discovered something even more shocking to me - that family remained family even after death. I've been exploring Phoenix on foot a lot the past couple of months, during the nice weather. I've ridden on the bus, I've been on the Light Rail. I've seen a lot of people, the way that you don't see them if you're always inside of a car. I haven't done much walking for years (I'm usually sitting at my computer or inside of a car) and it's fascinating to walk with these people. And when you see one of the white crosses by the road, you walk with the dead. If you walk in fear of the living, and the dead, take a moment to look more closely at the crosses. There's a connection there of friends and family, of brotherhood and sisterhood. The type of connection that transcends all barriers, social, economic, ethnic, and cultural. And transcends all understanding.